Headaches of any sort are often related to jaw and tooth issues, and we all know how a bad toothache can feel as if it’s reverberating right through your head. Migraine sufferers often experience a stronger relationship between the two, with oral health issues contributing significantly to migraine attacks. These common problems can all have an effect on headache attacks, with pain in the upper jaw, for example, presenting as sinusitis, which is a typical migraine trigger. The temporomandibular joint (TMJ) is where the jaw and skull connect and form a hinge, which enables you to talk, yawn and chew. It has muscles located underneath the jaw, in the cheeks, and on the top and sides of the head. This joint clenches during activities such as migraines and even gum chewing. The muscles tighten during clenching and cause pain such as headaches and migraine, and are sometimes associated with toothaches, earaches or shoulder pain. An injury to the TMJ can have longlasting repercussions, both for your oral health and your overall wellbeing. Occasionally, the patient will be able to see swelling around the joint as a possible indicator of bruxism. Regular toothache from an untreated, abscessed tooth or infected root can also cause tremendous pain throughout the head and jaw area. Apart from the risk of long-term damage to your health, the pressure from toothache can trigger a migraine attack if you’re prone to the condition. It’s also possible for orofacial pain to be misdiagnosed as dental pain or migraine attack, and vice versa. Statistics from the U.S. Surgeon General indicate 22% of adults suffer from some form of facial or oral pain in any given 6-month period, and that orofacial pain is a primary factor in various disorders. In one well-known case, a patient who thought she had sinusitis was diagnosed with dental issues and underwent multiple procedures to correct them. Eight years later, a multidisciplinary team diagnosed she was actually suffering from atypical migraines with a mid-face location. Treating migraines correctly is critically dependent on getting the right diagnosis. Medical practitioners rely heavily on the patient’s medical history and personal accounts, so it’s important to note whether family members have a record of migraines. Keeping a pain diary is extremely helpful in identifying patterns such as the connection between migraines and tooth pain. 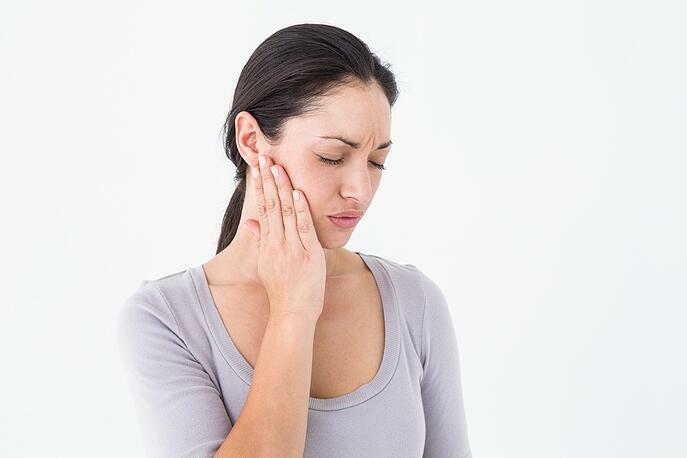 A patient with no history of migraine and sudden orofacial pain could simply have a dental problem, while a patient who experiences new pain that seems related to dental issues could have a long history of mild, as-yet-undiagnosed migraines. As in the case of the patient with atypical migraine, getting effective treatment depends on reaching the right diagnosis, or the pain is likely to persist for years. Medical care for migraines connected with tooth pain is usually two-fold, and takes place by treating the symptoms to provide short-term relief while looking for an addressable cause that will benefit from a long-term approach. For migraine sufferers with underlying dental issues, resolving these could reduce the frequency and severity of attacks. Problems such as malocclusion or a misaligned bite can be treated with orthodontic measures, which could produce results that are noticeable immediately, or take much longer to eliminate the headaches. Whatever the circumstances of your migraine attacks, well-kept records will help your doctor to identify the real cause of your suffering, and provide you with effective treatment options to help. If you believe there’s a connection between your migraines and the state of your dental health, schedule an appointment to speak with a migraine specialist to determine what can be done to improve your quality of life.